B2B gift card ecommerce programs have many moving pieces. In addition to navigating a complex marketplace, merchants often find they lack the time and resources to manage each and every component of a successful B2B program. As the gift card ecommerce landscape grows more competitive, merchants who are unable to dedicate resources to growing their B2B gift card program miss out on the opportunity for increased revenue. To be more specific, they risk their share of a $26.3 billion pie. The overall B2B gift card market has more than doubled over the last decade, now representing about 20% of the total gift card market—two and a half times total online consumer gift card sales. In order to capitalize on this opportunity and remain competitive, merchants must have a solid strategy for program optimization, including ways to streamline operations, marketing, and fulfillment. Growing a B2B gift card ecommerce program is not without its challenges. Merchants of all sizes strive to scale while maintaining or improving the buyer experience. While some merchants may be accustomed to effectively serving a dozen or so buyers, scaling up to hundreds or even thousands can negatively impact buyer engagement if effective processes are not in place. The keys to successful B2B gift card ecommerce programs—and a positive buyer experience—are ease and effectiveness, yet merchants often struggle to scale without experiencing a drop-off in one or both of those areas. To understand how to optimize buyer experience, it’s important to understand the key challenges that merchants face. The B2B market is comprised of two main segments: direct buyers and indirect (via a reseller) buyers. A robust B2B gift card program requires relationships and expertise with both direct buyers and resellers. However, these relationships can become winding and complex, making it difficult for merchants to navigate efficient ways to execute B2B gift card programs. Direct buyers work with companies selling gift cards directly, whereas indirect buyers (resellers) typically act as an intermediary between the entity selling the gift cards and another merchant. An indirect buyer purchases gift cards from a B2B gift card program and resells those gift cards to merchants, paying and settling with the B2B gift card seller and managing compliance for any gift cards resold. Direct and indirect buyers are the roots of a tree that has many branches. 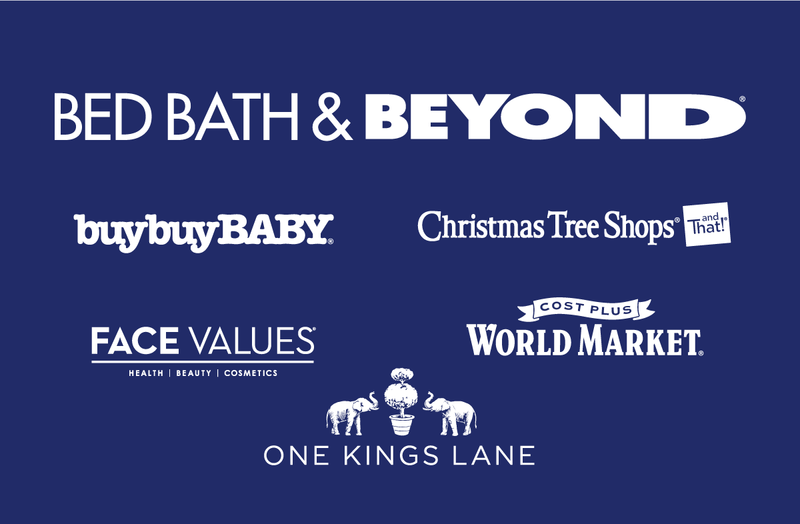 Each of these serves multiple segments of B2B gift card programs (consumer incentives, employee incentives, etc.) and sub-segments (loyalty/FI and credit card, purchase promotions, employee recognition, health and wellness, etc.). It’s not hard to see how navigating processes like fulfillment, payment, and settlement can become complicated. To scale, grow, and optimize, merchants often need to employ intelligent tools, implement standardized processes, and train staff to manage each process. Operations alone can be resource-draining and time-consuming for merchants. Optimizing a program while only accepting orders via fax and phone results in additional time and security challenges. A breach of any of these access points accrues additional costs for merchants and will likely result in reputation damages as well. It’s common for B2B programs across the gamut—from one-person teams to resource-rich programs—to struggle to achieve and unify three tenets of a successful B2B program. In order to grow effectively and efficiently, merchants must find a way to optimize the end-to-end lifecycle journey, from purchase to product receipt. While understanding buyer motivation is important, it’s critical for merchants to realize that ease of placing an order is the buyer’s top priority. Merchants need to keep in mind that there are several key factors that B2B buyers look for when placing orders. Understanding these factors can help merchants provide a seamless end-to-end experience that sets them apart from the competition. 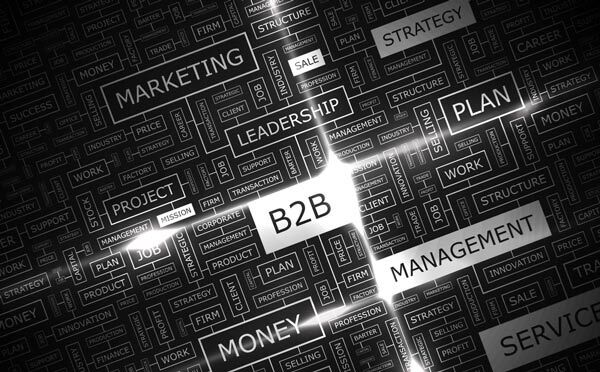 Merchants need to consider whether or not B2B buyers can easily find out information about their B2B program and get a sense for the offerings online. It’s also important to provide information that helps differentiate a merchant from the competition. In other words, why should buyers place an order with you? Information should be easily visible on the website and there needs to be an easy online purchase mechanism. Merchants should also note that 86% of B2B buyers prefer to use self-service tools. B2B buyers are more likely to value convenience over price, which often goes overlooked. B2B decision makers also report that lack of speed and lack of interaction with suppliers is their #1 pain point—a pain point that is mentioned twice as often as price. B2B buyers are budget-conscious. While convenience may hold the top spot in terms of values, it does not negate the importance of price. A solid pricing strategy for B2B gift cards is essential as buyers are often looking for incentives to buy in bulk. It’s also important to offer multiple payment methods while streamlining the approval process. B2B buyers expect an excellent level of service, including easy ways to inquire about the status of an order. Most prefer online or self-service inquiry mechanisms over phone calls, which can take more time. Merchants should focus on providing a dedicated, self-service channel for buyers to receive information in an easy manner. While the majority of buyers prefer to communicate online, merchants should still clearly advertise B2B traditional customer service contact information to help make buyers’ lives easier. In sum, the B2B buyer experience rests on a merchants ability to easily and effectively manage their program from end to end. Without the appropriate tools to help manage the key factors above, merchants cannot adequately focus on buyer relationships, which are integral to the ability to grow a B2B gift card program. Running an efficient and effective B2B program requires tools that enable the merchant to focus more on buyer relationships and less on the technology. These tools should aid in drawing additional buyers to websites and in through other channels. Subsequently, it should become easier to get them over the threshold to their first purchase—then keep them buying in the future. Technology with a flexible workflow makes it easier to get cards into the hands of buyers that may or may not already be customers, while also seamlessly running the B2B gift card program. Technology makes for easier program management—and improved merchant effectiveness—by removing the need to focus on the administrative details. CashStar Business provides merchants with a B2B gift card ecommerce platform that allows for a painless user experience and seamless backend management. From there, merchants can effectively manage relationships while the platform does the heavy lifting in terms of promotional programs, pricing, funds management, branding, and security. The merchant benefits from a portal that is tailored to its business. Merchants can control how each buyer experiences their brand as well as how their brand is represented in the marketplace. The ability to offer the right products to the right buyer at the right time is a primary function of that control of brand and buyers. This intelligent solution ensures that you tailor your offerings to each buyer without mismatching products to buyers who may not need them. Streamlined and automated processes help merchants maintain or even increase service level as less time is spent on operational or administrative tasks that the portal can take on. Merchants also have increased ability to control and manage how buyers pay, offering a variety of payment methods (credit card, ACH, and more). Detailed reporting functionality ties everything together to provide merchants with insights into how the program is performing and what updates or strategic pivots are needed to improve performance. At the end of the day, both the merchant and the buyer win with CashStar Business’ industry-leading security and reliability. Merchants have the ability to deliver securely to buyers, and, in turn, buyers feel secure in providing financial and personal information to complete a purchase. Working with a trusted partner like CashStar Business can eliminate headaches—and losses—that plague B2B gift card sales. To understand how CashStar business can improve B2B program management, remove complexity, augment resources, and improve security, we’ve outlined more detailed features below. CashStar Business offers card products with customizable art, so merchants can retain control over their brand and the capabilities of customization offered to the buyer. Buyers have the ability to amplify their brand with the power of your brand behind them. Merchants can specify how their brands interact with the imagery and text provided by buyers, allowing the merchants’ brands to remain front and center along the brand of their buyers. CashStar Business also enables configurability, so merchants can control whether all or some of their buyers have the ability to leverage custom and co-branded functionality and at what prices points they can take advantage of this tool. These benefits are available for both physical and digital cards. CashStar business addresses both merchant ease and buyer engagement through funds management technology. Funds management allows merchants to provision funds accounts to their buyers. These accounts can be pre-funded with client funds that can be used for purchasing via the Business web application or API. Merchants enjoy the ability to offer increased level of service to power buyers and gain faster access to payment, encouraging follow-on purchases with buyer investment. Buyers see decreased order turnaround and they can allocate budget in advance of purchases. By simplifying payments with funds management, merchants can shave time required to process orders, significantly improving the buyer experience. Merchants also can set up specialized programs in CashStar Business, including limited use of promotional programs. Merchants can define specific access and pricing rules around these programs while leveraging expanded pricing tools, including default pricing, added support for per card and order fee schedules, and improved support for discounts. In addition, merchants get access to security enhancements and the continuous investment CashStar makes toward improving security and preventing fraud. If you would like additional guidance on improving B2B sales, view our recent webinar, “Improving the B2B Gift Card Buyer Experience to Drive Sales”. Jason’s focus is the CashStar Business product. He brings 18 years of product management and development experience to CashStar previously focusing on payments, financial management and portal offerings. Most recently, Jason was a Sr. Product Manager at Intuit where he co-founded the Intuit Payment Network. Prior to that he was a software engineer at Intuit and General Dynamics.